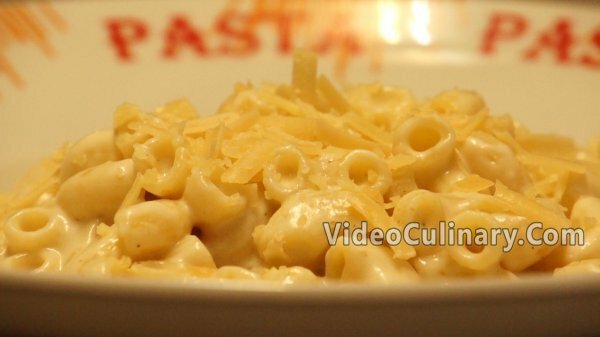 Enjoy this delicious, gooey stove-top mac and cheese recipe. Thinly slice 3 cloves of garlic. 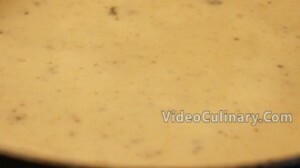 Melt 60 (2 oz) grams of butter in a heavy bottomed saucepot. Add the sliced garlic and cook for a minute. add 50 grams (2 oz) of flour and stir to combine. Cook over medium heat for a minute or two, stirring using a wooden spoon. 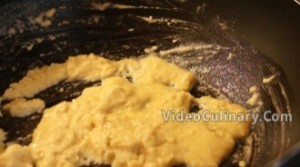 The butter-flour mixture should resemble wet sand, and it is called blond roux. Turn the heat onto high, and gradually add 1 liter (1 quart) of room temperature milk, stirring constantly, until smooth. Bring to boil and reduce the heat. Add a pinch of nutmeg, one teaspoon of salt, 0.5 teaspoon of ground black/ white pepper, a pinch of paprika and stir. Simmer over low heat for 15 minutes. Meanwhile, bring 3 liters of water to boil in a large pot. Add 3 teaspoons of salt. Add 500 grams (1 pound) of pasta and cook until it is almost done. Transfer to a colander and drain. Remove the sauce from the heat, add 100 grams (4 oz) of grated Cheddar cheese. stir until melted and smooth. 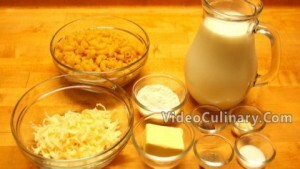 Mix the pasta and the cheese sauce together. Transfer to a serving dish, sprinkle Parmesan cheese on top, serve and enjoy! 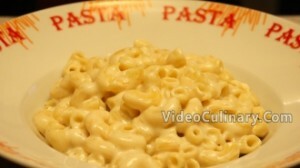 Visit our website to find a homemade pasta with tomato sauce recipe, baked macaroni and cheese, potato gratin and more.